Let’s check out the new updates in the 2017 edition of Honda Dio. The new Honda Dio has an entire new front cover with this glaring and unique LED lamp which has made the scooter more stylish and a whole lot different than its previous versions. As Honda Dios are made in India and there is a regulation of AHO, the same Dios comes in Nepal although there are no such regulations here. The AHO system headlamp in Honda Dio 2017 is impressive and improves visibility whether it is dawn, dusk, fog or at night. Although the previous Honda Dio also had Combi Braking System (CBS), in Honda Dio 2017 Honda has installed improved version of CBS which helps to provide much better braking power to the scooter and is also great for stability. 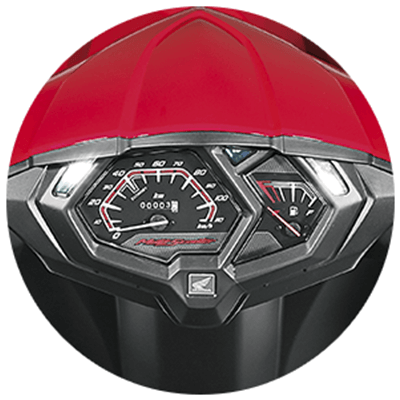 This is something completely new and very useful feature in Honda Dio 2017. You can charge you phone on the go and keep adequate amount of stuff in the 18 liters under-seat storage space. The charging socket is an accessory and may not be available as standard equipment. Talk with the showroom assistant to know more about it. There is a whole new instrumental panel with like sharp strict lines in Honda Dio which makes it look edgy. Looking at the console makes you feel like you are riding a whole new scooter and not just any regular Honda Dio. It is probably the first thing you will notice in Honda Dio 2017. 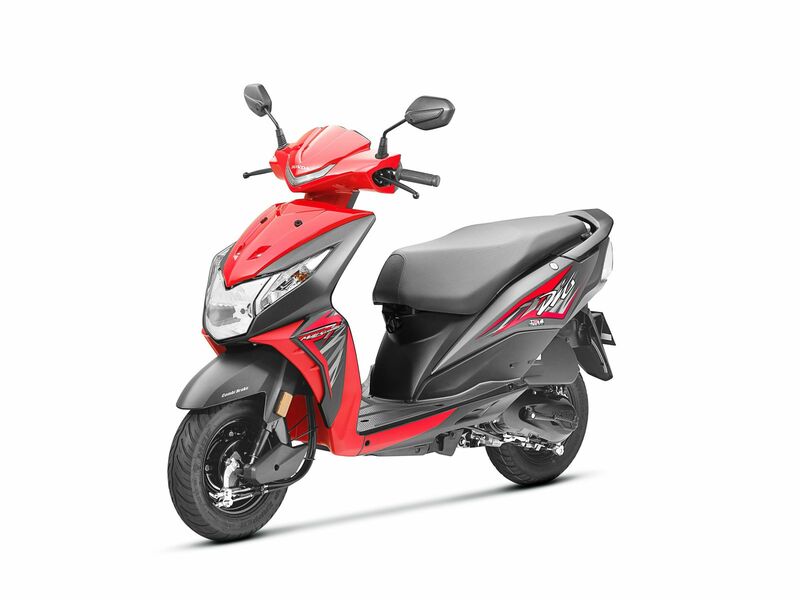 The all new design of the Dio is inspired from a new Moto Scooter design and adds a racing scooter style feel with dual tone color which will attract a lot of youths. Following the Bharat Stage or BS-IV norms of India, Honda Dio 2017 has a HET with BS-IV engine which is made according to Honda Eco Technology. The technology is said to ensure and give both better performance and mileage.